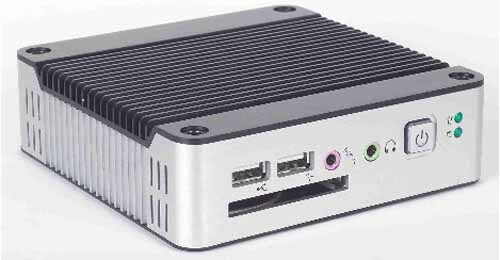 This VESA Thin Client from IBT is a revolutionary device designed for application with limited space and temperature concern. 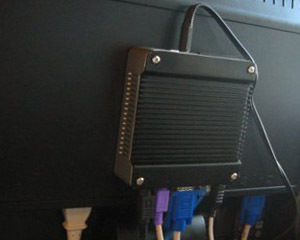 It's designed with mounting hole that can attach to any VESA mounting fixture, allowing it to be securely mounted onto deskes, walls or diretly on the back of most LCD display designed to support VESA mounting standard. Along with it's FANLESS design, TC4300 can be adapt and use in a wide range of application. the back of a LCD monitor. Converting this monitor as a Panel PC.